Type of tree - What type of tree is this? Beautiful design. 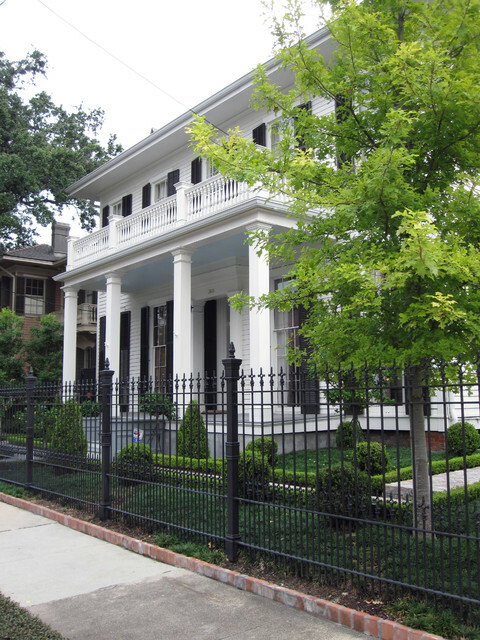 This is a nice example of having iron fencing around your home. It is tightening the security and also giving the house an awesome exterior look. Fence Posts - Who made/installed this fence? I've been looking for decorative iron posts like this but can't find any that are like this. I want this fence but 36" tall to attach to an 18" concrete footer. Thanks!